- Viking purple with bright yellow center strip. - Light weight, soft synthetic (yet very durable & will not tear apart/break), loose weave. 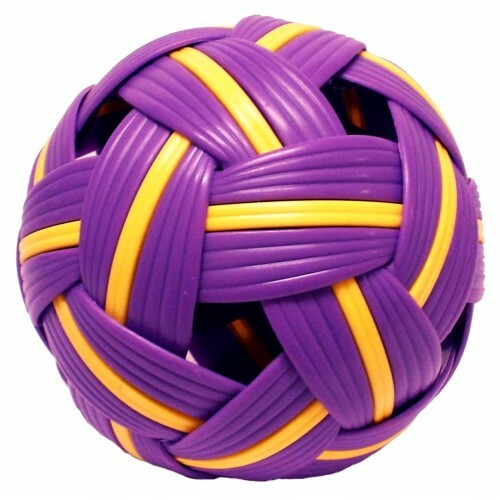 - Training Takraw ball for beginner players. - Preferred ball for elementary school age or beginner players of any age.